14 Commercial Real Estate & Properties in Berrinba are listed in 4 categories. We have 16 OfficesSale , 12 Industrial Warehouses Sale , 4 Development LandsSale and 1 Other Commercial PropertiesSale . Approx 1.02ha of Mixed Use Land for Sale Suitable for Light, General Industry or Warehouse Good access to Logan Motorway Only 26 min to Brisbane CBD Maximum 15 min to suburbs like Slacks Creek, Underwood & Sunnybank Hills LoganLink South Industrial Park is ideally located on the southern side of the much sought after Logan Motorway corridor. This Corridor is the prime logistics region in South East Queensland and is home to the major distribution centres for large retail groups – Coles, Woolworths & Metcash and logistics groups – toll, DHL & Linfox. 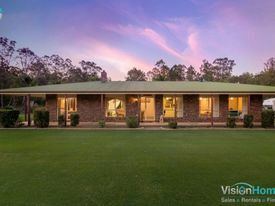 The Estate provides easy access to the Brisbane Airport & Port, north to Brisbane’s northern region and northern Qld, west to Ipswich and Central Qld and east to the M1 and south to the Gold Coast. Invest now, receive an immediate sizeable passive income then develop down the track, or easily sell on at an absolute profit. LAND BANKING AT ITS FINEST! So, now I have your attention, do I not? Picture this, we are in Berrinba, the rapidly developing area of mixed use land. With its ideal location between Brisbane, the Gold Coast and Ipswich and Toowoomba, here will be the new southeastern hub for retail, office, residential and logistics as well as other businesses. Council says that with increased population in the area, infrastructure will certainly soon follow, which in turn will boost employment. Plans to construct an overpass between the north and south sides of the Logan Motorway of the Berrinba district is obvious intent of council's commitment to the area's development. Logan Motorway is a stone's throw away and there is immediate access. From here, direct access to both Motorways north and south of Brisbane exposes the entire eastern seaboard. Now I sense you start to swoon. But hold in there, there is more.....a lot more! What is on offer here is 2.3 hectares (23,000m2) of cleared land. Situated at the top of the property sits a stately low set bricked 4 bedroom home with study. Indeed, a well looked after palace. As complement, there is a separate 3 berth lock up garage, and a large open shed. Potential, Potential, Potential, I hear you saying. Here's the immediate potential. Live in or rent the house, income! Lease/agist the fenced large front section of land, income! Lease the shed, income! Other financial storage opportunities at nominal fees are limited only by imagination, income! As neighbouring lots are fast snapped up and developed, it's a no brainer that there will be exponential appreciation in value of this property. Given this, it appears more intelligent not to immediately develop this land, but rather land bank for a year or two and reap greater financial rewards. Forget the stock market; forget the banks! This is an investment that will out perform all others. I have a motivated seller who, after 27 years, is happy to now move on and go fishing rather than stay a further two years. This leaves the door wide open for a savvy investor to grasp this opportunity and generate short term excellent return. Just consult council of this land's potential, they want this area developed yesterday. Meanwhile, take a drive through Berrinba and see for yourself the impressive amount of development that is going on. You will be superbly impressed. So, how are you feeling now? Contact me soon, this property will be well sought after and only available for a short time. This quality office warehouse facility with extensive parking, truck turning facilities and excellent exposure to approaching traffic is about to start construction. Berrinba is a prime industrial location due to its proximity to the major arterial roads, nearby infrastructure and is central to Brisbane, the Gold Coast and Ipswich areas. Construction will be of tilt concrete panel with modern and attractive office faade in keeping with this quality location. With modern corporate offices over two levels, and fitout including air conditioning, carpet, ceilings, lights and amenities on both levels, this new industrial should suit many business uses. Warehouse has a minimum 7m clearspan clearance and 3 container height electric roller shutters, one being 6 m wide. All surrounds will be concrete hardstand with security fence and landscaping in place. An A grade industrial building in a prime location with great position and exposure for your business. Description: Ideally located development land close to Logan motorway is the rapidly growing industrial zone. 105m frontage to Wembley Road Planned road scheme for two further sides of the land Excellent location close to rapidly developing modern industrial estate Mix Industry zoning to suit a variety of use Land Area: 21,100m² approx. Contact Mumtaz Saleem 0405 669 264 for an inspection or further details Location: Berrinba is a suburb in Logan City, Queensland, Australia. Berrinba was once also within the City of Brisbane but that part of the suburb has been renamed Karawatha. Berrinba is located approx 30 minutes south of Brisbane Central and the Gold Coast. Berrinba and its surrounding areas (Park Ridge, Browns Plains) are in the middle of the fast growing Brisbane/ Gold Coast corridor. This area is certainly well catered for from a logistical point of view. This is one of the most exciting areas between Brisbane and the Gold Coast 19050 m² future mixed industry and including two house on site Corner of new road which may lead directly onto the Logan Motorway in the future Nearby to new Toll 12ha facility and other major industry Owners want it sold NOW Call Ben 0403 054 845 Location: Berrinba is situated only minutes from The Logan Central Business Area, which consists primarily of retail businesses however the area has developed into a key community hub with a variety of Government and Human Services providers located within the precinct. The precinct surrounds the Woodridge Train Station making the area easily accessible via public transport. Expect significant changes in this area over the next 3 years. Well located MIBA site on a new roundabout within close proximity to the Logan Motorway Current improvements include a house Looking for offers to purchase Longer settlement terms can be provided Contact Ben Armstrong for an inspection or further details 0403 054 845 Berrinba is situated only minutes from The Logan Central Business Area, which consists primarily of retail businesses however the area has developed into a key community hub with a variety of Government and Human Services providers located within the precinct. The precinct surrounds the Woodridge Train Station making the area easily accessible via public transport. 9 Prospect Place, Berrinba Qld 4117 Sale: $2,780,000 Lease: $..
New A Grade Industrial Building Sale: $2,780,000 Lease: $218,000 P.A. Prime industrial location Tilt concrete panel with modern and attractive office facade 311m2 A Grade office over 2 levels Large warehouse and hardstand area Minimum 7m clear span warehouse 3 container height roller shutters Located in the growing industrial area of Berrinba, this new building is an ideal option for your new business location. Enjoy proximity to major arterial roads, nearby infrastructure and easy access to Brisbane, Gold Coast and western areas. There is extensive parking with truck turning facilities and the location provides great exposure onto Wembley Road. There is a security fence and landscaping in place along with an office fit out of air conditioning, carpet, ceilings, lights and quality amenities over two levels. Sale: $1,200,000 Lease: $98,000 pa GST Exclusive Unit 8 consists of 541m2 Flexible office areas ranging from 112m2 2000m2 also available Great parking at 1:30m2 Fibre optic connectivity On site café High quality corporate finishes Off market sale and lease discount rates offered untill end of financial year! Get in quick! Helix is a modern office development in the Browns Plains business area, built to incorpoarte the business and lifestyle aspects of modern office accomodation. For sale and for lease, tenants or owner occupiers will be provided with flexible working areas, high quality corporate finishes and beautiful natural surrounds. The area provides 8 KMs of walking/cycling tracks, close proximity to M1 and Gateway and Ipswich Motorways. There is generous free parking, and low bay warehouse options available. The vendor is motivated and attractive incentives are on offer for the right tenant. Sale: $769,000 Lease: $67,000 pa GST Exclusive First floor tenancy Flexible office areas ranging from 112m2 2000m2 also available Great parking at 1:30m2 Fibre optic connectivity On site café High quality corporate finishes Helix is a modern office development in the Browns Plains business area, built to incorpoarte the business and lifestyle aspects of modern office accomodation. For sale and for lease, tenants or owner occupiers will be provided with flexible working areas, high quality corporate finishes and beautiful natural surrounds. The area provides 8 KMs of walking/cycling tracks, close proximity to M1 and Gateway and Ipswich Motorways. There is generous free parking, and low bay warehouse options available. The vendor is motivated and attractive incentives are on offer for the right tenant. Sale: $424,000 Lease: $37,250 pa GST Exclusive Flexible office areas ranging from 112m2 Great parking at 1:30m2 Fibre optic connectivity On site café High quality corporate finishes Helix is a modern office development in the Browns Plains business area, built to incorpoarte the business and lifestyle aspects of modern office accomodation. For sale and for lease, tenants or owner occupiers will be provided with flexible working areas, high quality corporate finishes and beautiful natural surrounds. The area provides 8 KMs of walking/cycling tracks, close proximity to M1 and Gateway and Ipswich Motorways. There is generous free parking, and low bay warehouse options available. The vendor is motivated and attractive incentives are on offer for the right tenant. Sales: $2,100,000 Lease: $153,000 P.A. Affordable building ready to build now Flood free industrial precinct DA approval in place Large warehouse component and hardstand area Approx. 205m2 office component Extensive parking and truck turning facilities Tilt concrete panel with modern and attractive office facade Great exposure onto Wembley Road 7m clear span warehouse clearance Container height electric roller shutters Further features included in this package comprise an office fit out of air conditioning, carpet, ceilings, lights and quality amenities on both levels of the two storey office component. There are various office configuration options available and there are land only purchase options available. Along with this there is ample onsite parking with secure undercover parking also included. Recent activity has shown acceptance of the Berrinba area and in particular, Prospect Place. Work is nearing completion on the Stoddart Building across Wembley Road and work has commenced on the new 50,000+ m2 Toll facility. This along with the completion of major road works in the area ensures that the area of Berrinba will become a serious industrial location. Sale: $2,760,000 Lease: $215,000 P.A. A Grade quality building Comprises large warehouse and hardstand area 229m2 office component over two levels Extensive parking and B Double turning facilities Minimum 7.25m clear span clearance Three container height electric shutters Ready now for immediate occupation Located in this exciting flood free industrial subdivision in the heart of Berrinba, this is where your new business should be. Surrounding subdivision stages 2 & 3 are under construction, ensuring this will be the sought after industrial precinct of the southern Brisbane region. Further features include an office fit out of air conditioning, carpet, ceilings, lights and quality amenities on both levels. There are B Double cross overs, electric gate, full security fence, and landscaping in place. Water and energy saving devices have been implemented ensuring lower costs and there is proximity to fibre optic connections.